MISSISSAUGA, ON--(Marketwired - January 24, 2017) - Fresh off an historic year, Gay Lea Foods Co-operative Limited is poised for further growth in 2017 with ambitious plans for an expansion of its foods and ingredients business as well as for continued investment in innovative, industry-leading products. 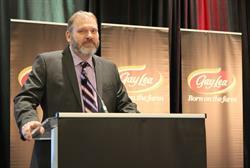 Notable decisions at the 2017 AGM include a move by Gay Lea Foods' delegates to expand membership eligibility to dairy farmers in Manitoba. The move follows the co-operative's November 2016 announcement that it has entered into a joint venture with Vitalus Nutrition Inc. to process dairy ingredients and butter in Winnipeg, Manitoba. Dairy Farmers of Manitoba will supply the raw milk for the processing facility, creating new market opportunities for milk from Manitoba farms. Further to the change in by-laws, the Board of Directors also took the opportunity to announce the appointment of an outside director from Manitoba. Meredith Miller-Delichte, a dairy farmer from St. Alphonse, Manitoba has accepted the position of Director effective immediately. 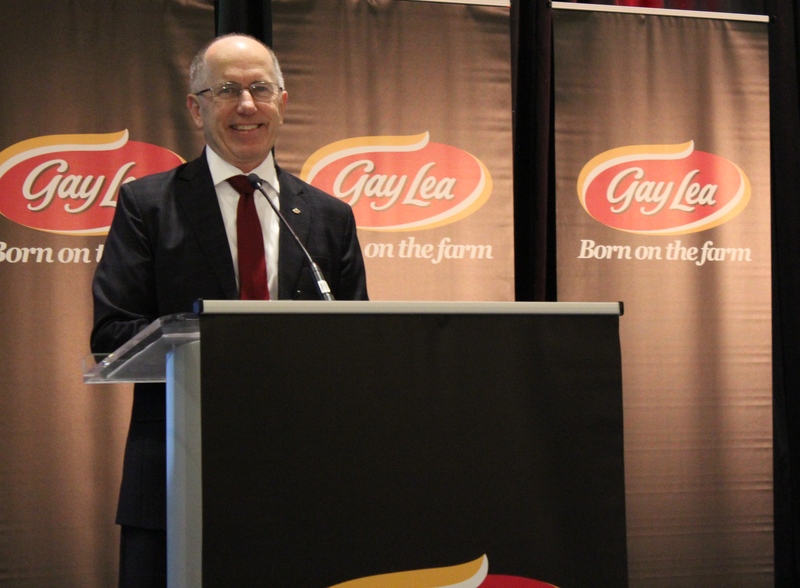 Moving into 2017 -- Canada's 150th anniversary -- Gay Lea Foods will continue its strategic focus on innovation, ingredients and industry leadership, working to create opportunities for sustainable, long-term growth in the Canadian dairy industry. As one of the key drivers of job creation and economic growth in the 21st century, Canada's vibrant agri-food sector will continue to thrive thanks to the commitment to innovation, excellence and co-operative values championed by Gay Lea Foods. Gay Lea Foods Co-operative Limited is 100% Canadian owned and operated, with members on more than 1,300 dairy farms and more than 4,000 members in total. The co-operative is the first in Canada to include both licenced dairy cow and goat members, and processes both kinds of milk into a range of dairy products, as well as serving as a broker in the dairy goat sector. Gay Lea Foods is driven by innovation and growing the market for Canadian cow and goat milk. Our products include the consumer favourite Spreadables; North America's first Smooth™ Cottage Cheese; and an innovative snack made with 100% cheese, Nothing But Cheese™. Gay Lea Foods Chair, Steve Dolson, addressed the Co-operative's 2017 Annual General Meeting in Mississauga, Ontario on January 24, 2017. Gay Lea Foods President & CEO, Michael Barrett, called 2016 a "banner year" for the Co-operative.